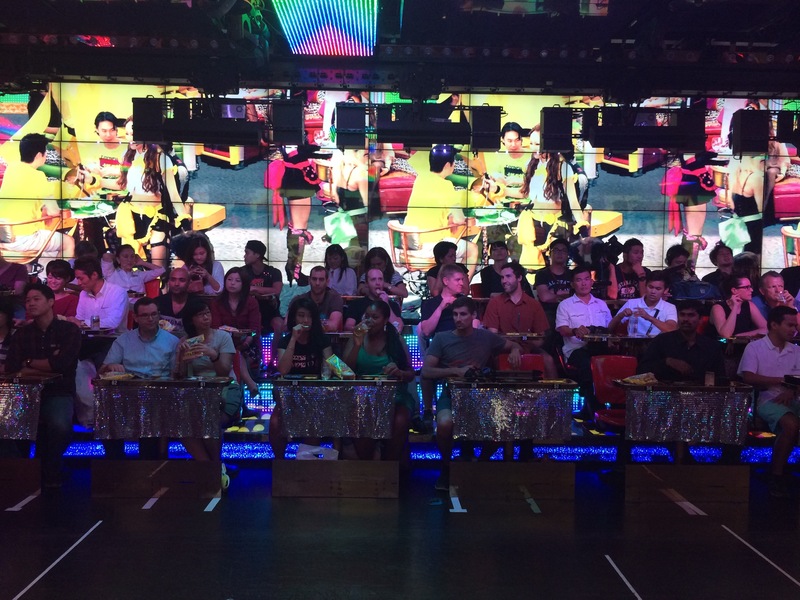 Robot restaurant – Can Japan get any crazier? Words cannot describe what I experienced at this show that I saw in Tokyo. It was mental, really. 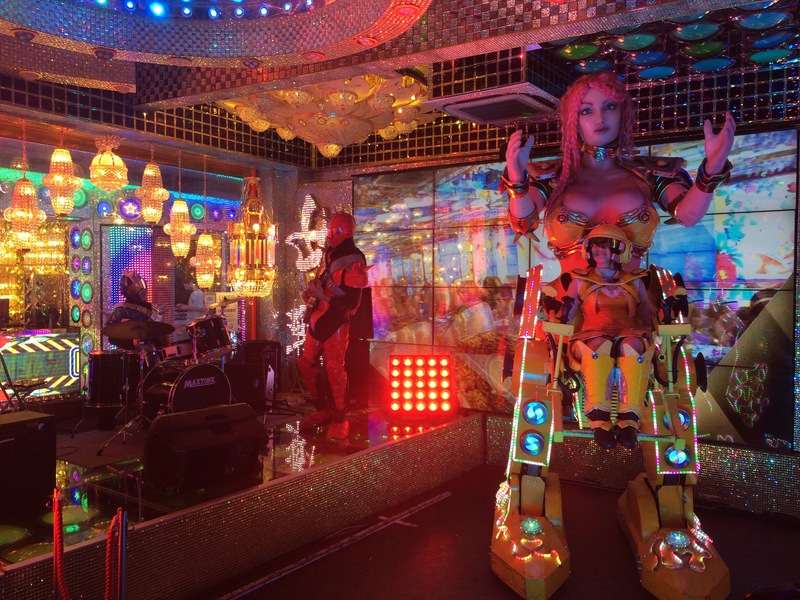 The Robot Restaurant is a popular tourist attraction in Shinjuku. 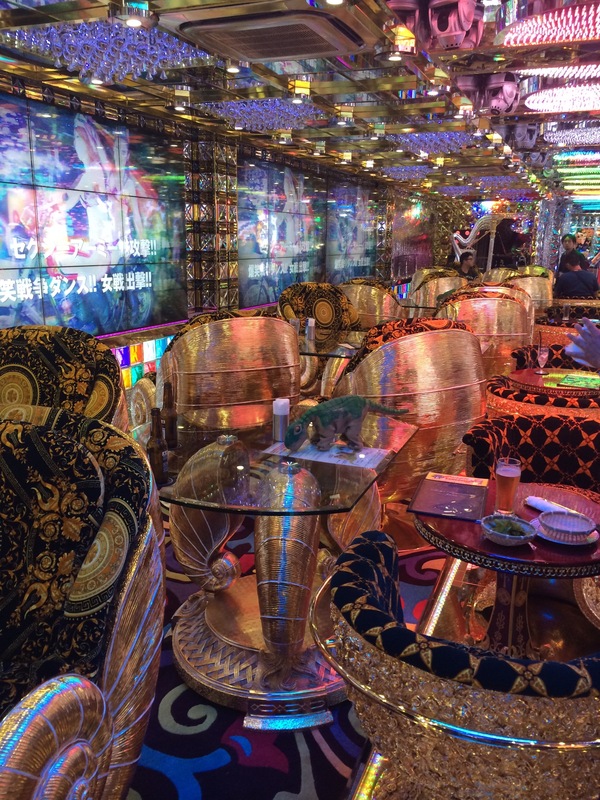 The name Robot Restaurant doesn’t actually describe it very well. It’s not really a restaurant and it doesn’t only have robots. It has lots of different machines and contraptions and even more Japanese girl dancers, who seem to wear less and less over the course of the show. I took some pictures but if you want to get an even better feel for what it was like, watch my little video on YouTube. Spectators sit in three rows on either side of an aisle where the show happens. Robots and girls do come very close, much to the excitement of a lot of Japanese men and much to the confusion of everyone else. By the time that I had been in there for five minutes I was so high on neon lights, glitter and the reflections thereof, that I wondered if I’d ever be able to calm down enough to sleep that night. Yay! Finally back in Japan after a year. 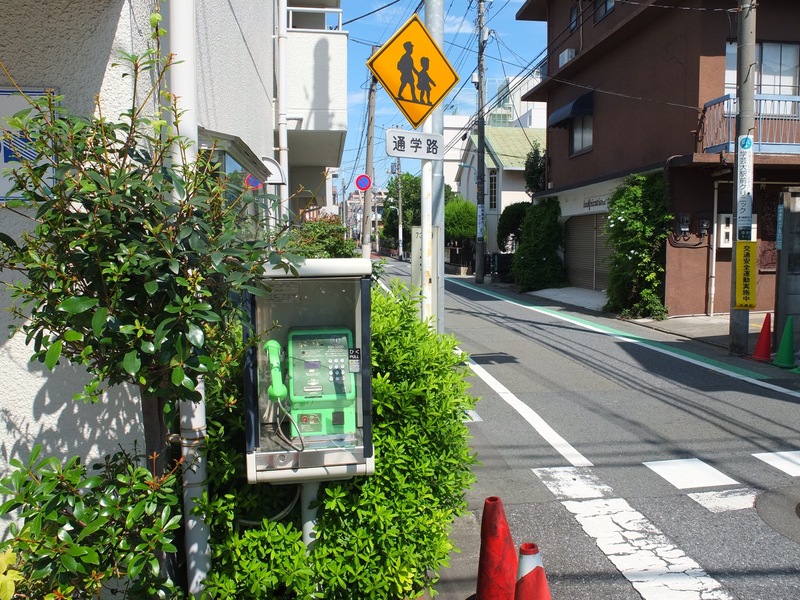 I was so excited on my first day in Tokyo that I had to photograph anything and everything. And it wasn’t only the excitement of being in Japan. The day also marked the beginning of my big trip through Asia which I’ve previously written about. 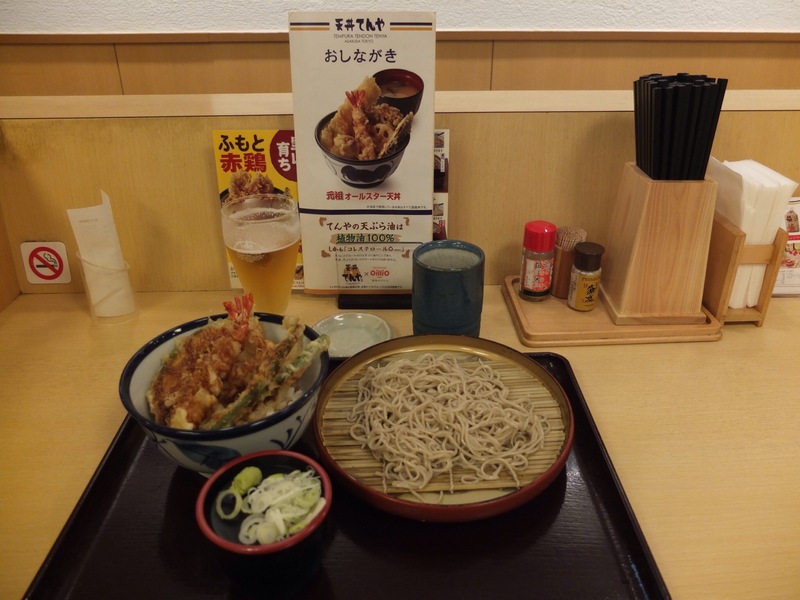 I arrived in the evening and just went out to have dinner before I crashed. It had been a long journey. 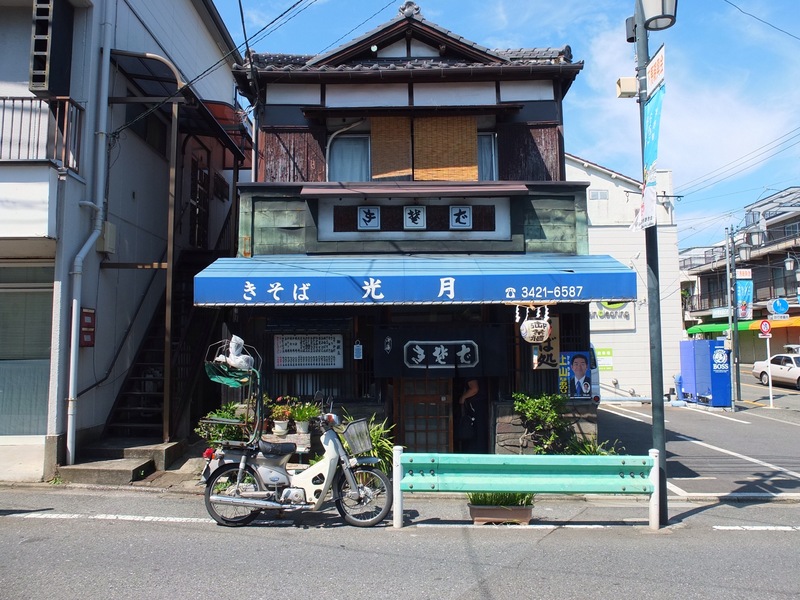 On the following day (my real first day…) I walked from my own Tokyo apartment (OK, I rented it through Airbnb) in Meguro to Shimokitazawa. Google maps said that it would be about an hour’s walk. I had no idea if it would be a nice walk but I figured that as I was in that phase of finding everything amazing, it didn’t really matter if it was going to be picturesque or not. I would love it anyway. I saw tons of photo ops on the way (as expected). 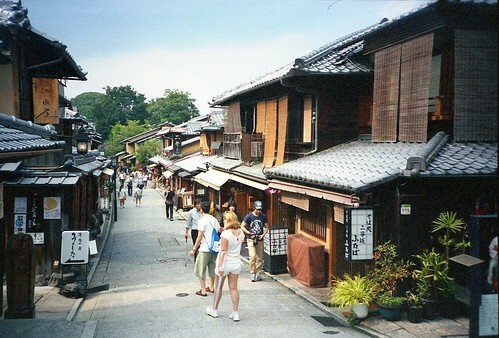 Last year in July I went to Japan for the first time. And this year I finally managed to sort through my hundreds of photos and publish the best on Flickr. 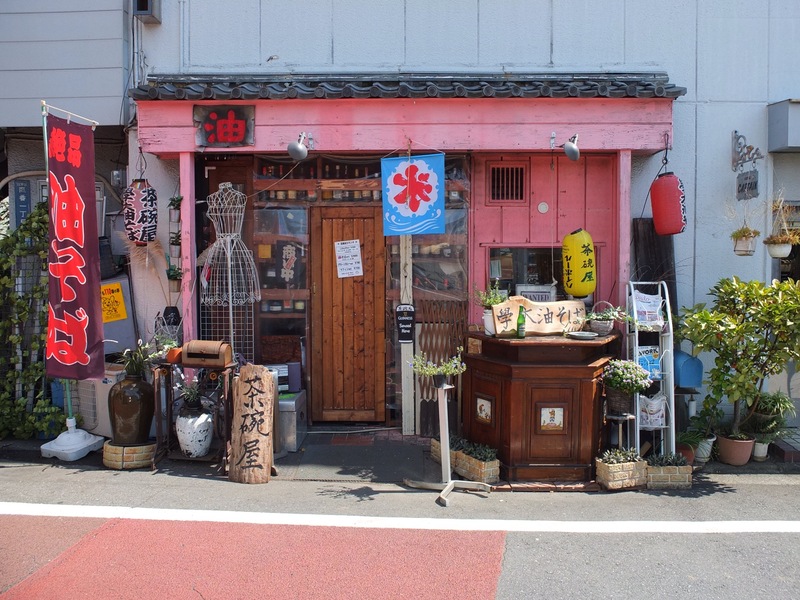 Check out my Japan photo album. I absolutely loved Japan and I am desperate to go back. It was as amazing as I had imagined and better. Great food, cute cartoons, very polite people, great public transport, so clean! Everyone told me that it would be very expensive but it wasn’t. I paid around £50 on average for the hotels and they were pretty good ones. Most of my lunches and dinners cost me between £4 and £6, as far as I remember. Sushi was more expensive but still cheaper than London. So it is not that expensive! 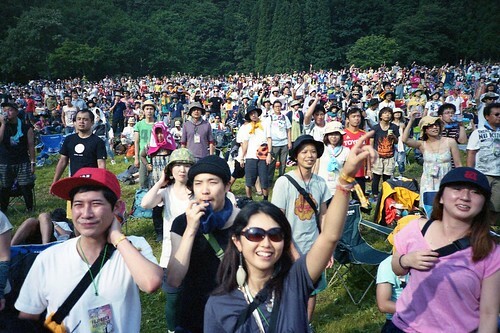 My friend convinced me to go to Fuji-Rock Festival. At first I was a bit hesitant. Why would I travel all the way to Japan and then go to a festival? There are tons in Europe! But it was the right decision to go. What an experience! It was different from European festivals. A lot better, actually. Extremely well organised and in a beautiful mountain setting. People were so civilised! I have to go back. 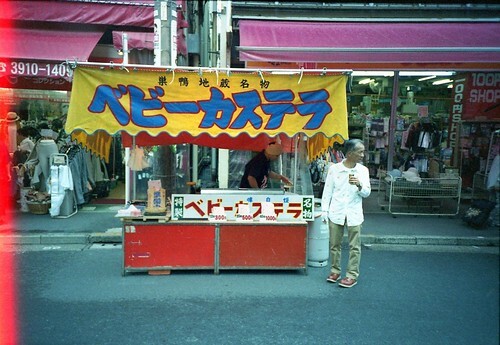 It took me almost a year to motivate myself to scan and sort through hundreds of photos. I shot all photos on film, either 35mm, 120 or Fuji Instax film. The best photos of my best holiday are now published on my Flickr account. Check out my Japan photo album on Flickr!